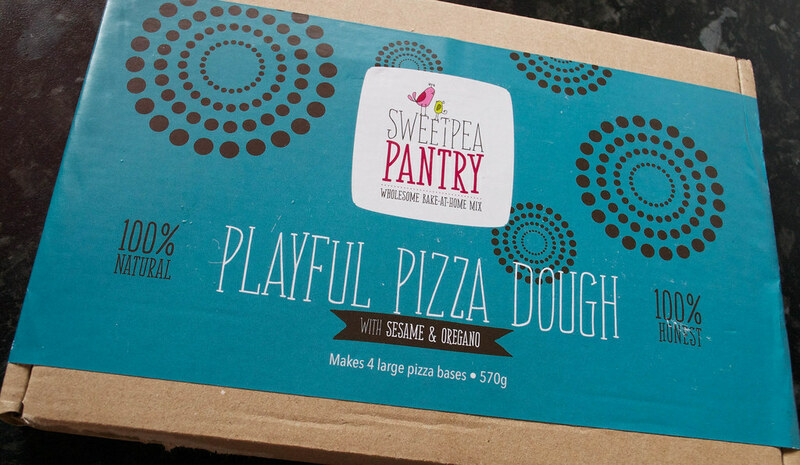 If you haven't heard of Sweet Pea Pantry, it's a company with the aim of getting kids in the kitchen making things like pizza, biscuits and pancakes - they include all of the dry ingredients, pre-measured out. You just add eggs, butter, water or whatever else is needed. 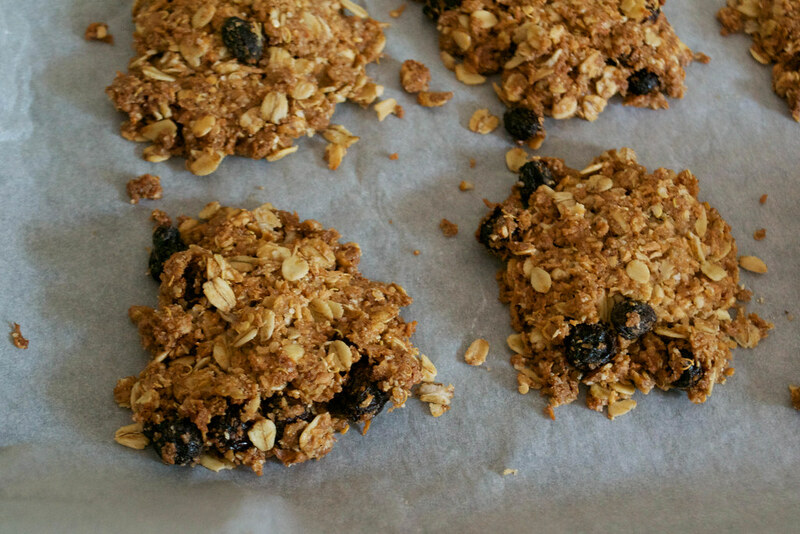 Probably the main thing about the mixes is that the recipes have a healthy twist - the oat cookies come with quinoa, the pizza dough contains sesame and oregano and gingerbread biscuits have flaxseeds, wholegrain rye and barley in them. I was asked if I'd like to try out a couple of their products and I agreed. 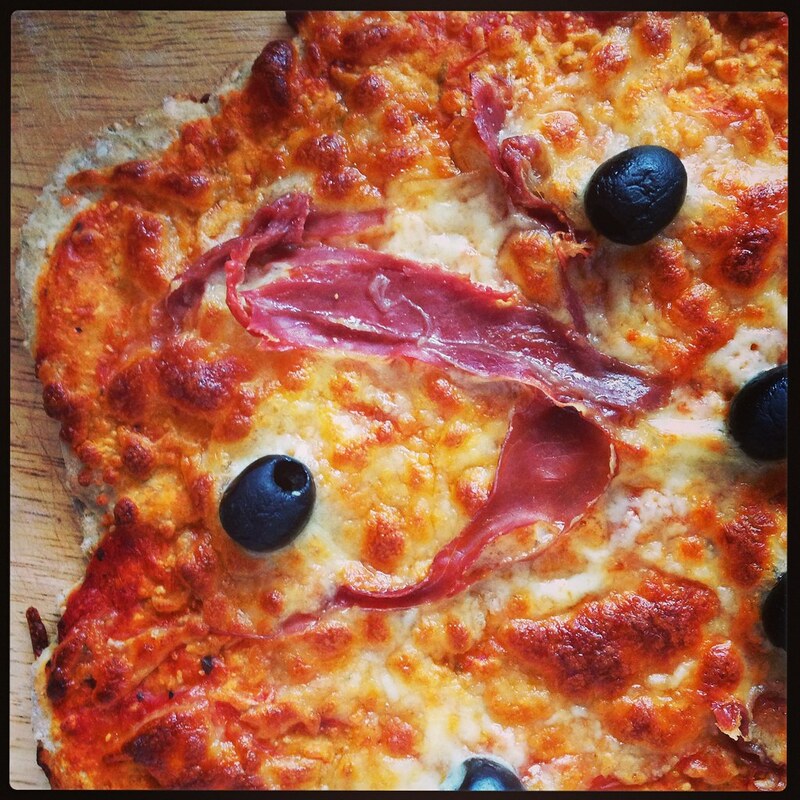 In the week they dropped through the letterbox, my eight-year old was at a friend's for tea, so I took the opportunity to keep the five-year old busy by making dinner. We set to work on the Playful Pizza Dough. 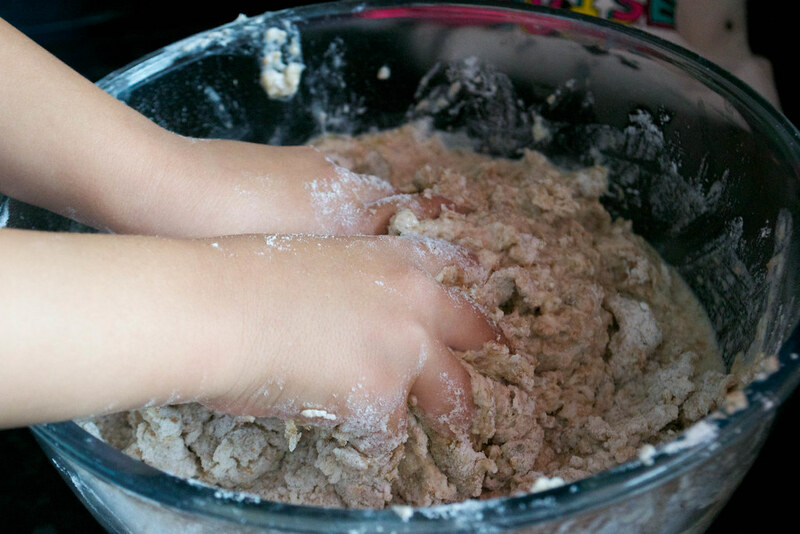 We tipped the flour mix into a bowl and added the combined water, oil and yeast mixture, mixing and kneading until ready. At first, she wasn't happy about getting her hands sticky but after a while she was kneading and mixing and loving it. We covered the dough with cling film and left it to rise for an hour. 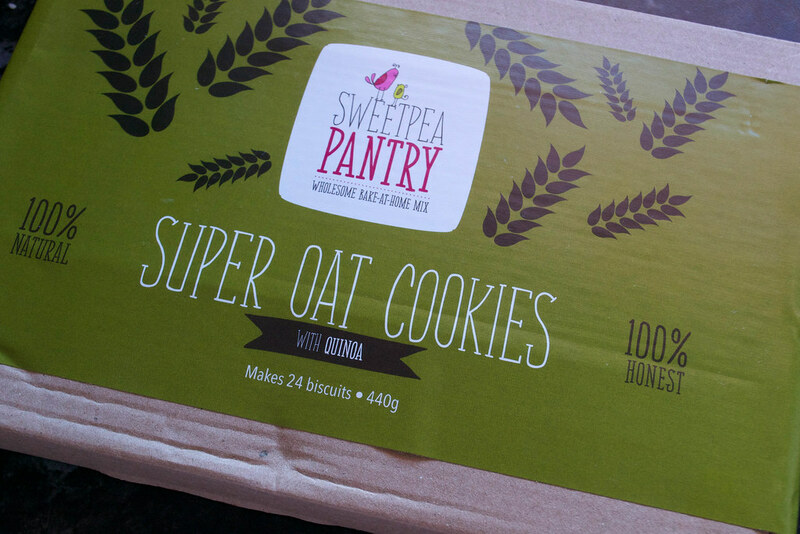 While that was rising we got on with the Super Oat Cookies. Again, everything was pre-measured - all we had to do tip it into a bowl and stir in melted butter to form a flap-jack type mixture, pressing it into little cookies and placing them on a lined baking sheet. There was a generous amount of raisins and I could make out the quinoa in the mix too. Once they were baked we tried a couple each. It was good to see her tucking into cookies that were actually good for her. Quinoa is rich in protein and oats are thought to be good for many things, such as regulating cholesterol and aiding digestion. I know you can buy 'ready to bake' mixtures from the supermarket, but part of the Sweetpea Pantry ethos is that they use ingredients that aren't refined or overly-processed. Read the labels of these mixes and you see demerara sugar, wholemeal flour and plain, rolled oats. No flavour-enhancers, colourings or hydrogenated this and that. Proud to have made dinner, we tucked into the pizza together - we'd added some olives and Parma ham we happened to have in the fridge, too. It was difficult for all of us to resist the cookies, and she took one in her packed lunch the next day, telling everyone she'd made them. 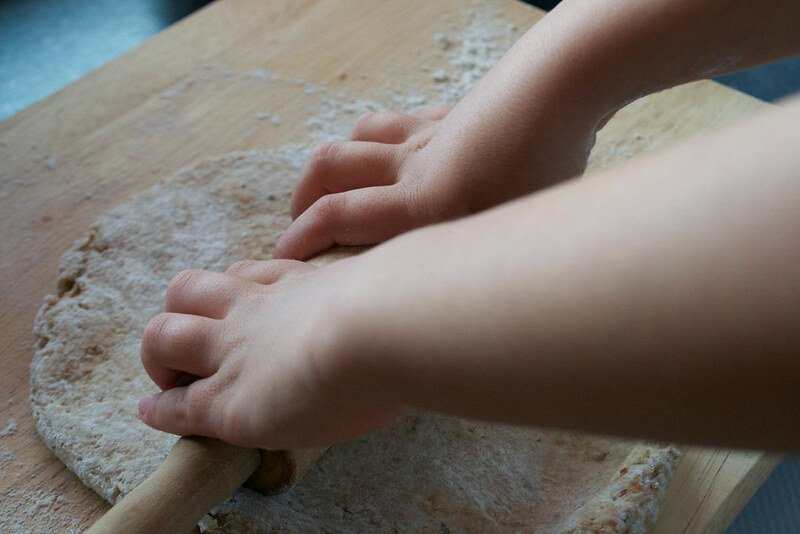 I know that you don't need packet mixes to get kids in the kitchen - in fact all that weighing and measuring out does help them with maths and volume too - but I can't deny they were much easier to use and quicker than cooking from scratch. Quite often I'll plan to bake something with my children and turn around to find they've become fed up half-way through weighing ingredients and flicked the telly on. If you're after something quick, and are concerned about the nutrition levels in pre-packed baking mixes, these would be a good alternative. For more information check out the Sweetpea Pantry website.